We offer a comprehensive range of top-quality T&G V Jointed Matching products by leading suppliers at highly competitive, cost-effective rates. 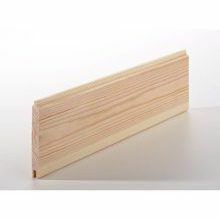 Ideal for external & internal applications including cabins, garages and sheds; panelling, walls and a whole range of other applications, our V jointed matching products have been carefully selected for consistency of quality, high performance and durability. Select the most suitable product/s for your project by browsing the range or find specific products by name via the search panel above. Can’t find the product you want? Not sure which product/s will best suit your purpose? Call your local Buildbase branch for helpful advice and assistance in sourcing the product/s you require. Find a branch close to you here.